The family friendly atmosphere and warm aesthetic appeal make Coral Springs a popular destination for Florida families. When you need a mover to help you into a new home, you will find that same warmth and friendly attitude with the Orange Movers team. We get you all packed up and moved into your home and office without any hassle or headaches. Call us now and see for yourself why when moving to Coral Springs, no other mover is doing it better. Are you moving to Coral Springs, Florida? Anxious and curious about how to find the best Coral Springs Movers that are both reliable and professional? Do you want to learn more about the city itself? Well, then, Miami Movers have your back! In today’s article, we take a deeper dive into the City of Coral Springs. Then, we take a look at what makes us the best movers there are in Florida. After that, you will have more information, and you will feel at ease with calling us to start setting up your move. The City of Coral Springs, Florida (officially), is a city in Broward County. You can find it approximately 20 miles or 32 kilometers northwest away from any Fort Lauderdale movers. The city counted around 121,000 residents in 2010 census. However, it is a principal city of the Miami metro area, which – with its population of around 6 million people (2015 census) – makes Coral Springs quite a busy place. Coral Springs has quite a few awards. The city gets its name from Coral Ridge Properties who planned and developed it. Despite the name, however, you will find no springs here. Those who do wish to see them can make a trip to the central and northern parts of the state. The city also has strict building codes. Because of them, the city can maintain its distinctive aesthetic appeal. What’s also great about Coral Springs is that it has won quite a few accolades. Some of them include the ones for overall livability, low crime rate as well as its family-friendly orientation. Money Magazine awarded the 3rd place in Florida on their “100 Best Places to Live” list to the city in 2012. In 2007, the city received the Malcolm Baldrige National Quality Award. It was the first state or local government in the nation to do so. Finally, in 1997 as well as 2003, Coral Springs received the Florida Sterling Award for excellence in administration. We are the Coral Springs Movers that value your time. Also, we are reliable and professional. Our equipment is new and your items will be secure. Let’s take a look at each of these separately and in more detail. We are living in a world where everything is measured with time. You have a set number of hours in a day to do your work, commute home. You have a certain amount to spend with your family and friends and rest. This is why we know how important time is for everyone. It is one resource that you cannot get back. Time is important when moving. That’s why our Coral Springs Movers are punctual. When scheduling meetings, we will accommodate your needs. And since there are only a few things worse than being late, you can be sure our workers will be there on time. Punctuality is an important trait to have. Whether it is meetings, or if we are arranging to pick up or deliver your things. You can move forward with other plans knowing we will be there on time. 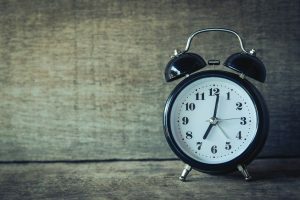 Another important trait that Coral Springs Movers have when it comes to respecting your time is efficiency. We know that time is money. This is why our workers put importance on finishing their job as fast as possible. Sometimes, moves can stretch over days – or even weeks. And at this time, you are not always able to go to work and do your job. This also means you will be wasting your time – and thus losing money. 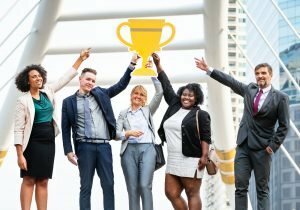 This is how moving with local movers Miami saves you money in more than one ways. However, Coral Springs Movers don’t only need to be fast. They need to be reliable and professional as well. It doesn’t really matter if your movers packed you up fast when you open your boxes in your new home to find your items damaged. Getting movers you can trust is the key here. We have worked in the Coral Springs area for some time now. We know the area, which ways to take and how to get you to your new home quickly. Also, our workers have quite a lot of experience. They will be able to spot problems and stop them before they even happen. This is why getting professional and reliable movers is a key to a successful move. Another trait of reliability is the good equipment the movers use. Without a good equipment – there can be no successful move. For example, there are items that need the proper temperature to transport. If you do this in trucks that have no temperature control, then you can damage them or worse – lose them. Good moving trucks are a key to a great move. Another important aspect of our services is the security of your items. Our trucks are secured against theft. Your items will also be securely packed – so they won’t jump around when we transport them. If you need to leave your furniture at a storage, you can sleep at ease knowing that our storages are secure and your items are safe. Finally, we are the Coral Springs Movers that care about your needs. When relocating to Florida, there will be a million things you will need to think about. This is why we make it our priority to meet all your needs and worries. We will set up communication channels and talk with you through every single step of the move. If you have questions or worries – you will be able to ask. 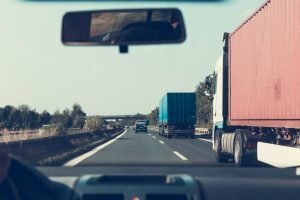 It is important that you know about how the whole moving process happens. This will ease you into it and reduce your levels of stress. Since moving can be quite stressful, any help will be great! Moving Up in Coral Springs? You could even take a walk through one of the many parks in Coral Springs while our moving pros take over your possessions. We provide full service moves, from boxing up your belongings in locale A, to getting them into place in your new Coral Springs location. With all of our attention placed on the safety of your stuff, you can focus yours on getting to know your new neighborhood. We take on the heavy lifting, so that you can show up to your new home stress free. Downtown Coral Springs provides a multitude of business opportunities. When you’re ready to move your business into a more comfortable space, look no further than Orange Movers. Our commercial movers are the best in the field, moving companies of all sizes at lightening speed so that they don’t miss a beat in their day to day operations. Call our offices today and find out how valuable our commercial relocation services will be to your business needs. Baby grand pianos, plasma TVs, garden statues? No problem. We specialize in those special items that make other movers cringe. With careful planning and attention to detail, our professional team can handle any moving worry, no matter how heavy or awkward it may seem to you. If you are worried about the value, size or delicacy of one of your valued possessions, call us now to get a special quote on getting it to Coral Springs in one piece. We are proud to admit that the bulk of our business has been built on client referrals and repeat customers. There is nothing better than knowing that our moving services were so exceptional that the client felt compelled to tell a friend. You can put all your trust in a moving company whose former customers are willing to recommend to their loved ones. Your possessions and comfort are our top priority, from the moment we start packing until we leave you alone in your new home. You expect to be stressed when you are getting ready to move, what you don’t expect is to have all that stress erased. We believe that moving to Coral Springs should be exciting, not worrisome, so we take care of all that hard work. From wrapping your glassware with care, to getting your kid’s bunkbeds in place, we are with you at every step of your move. Enjoy turning your new Coral Springs house into home, while we take our pleasure in helping you to get there. Make that first step by calling us now. Home is where your stuff is, and we are the experts when it comes to getting that stuff into your new one. 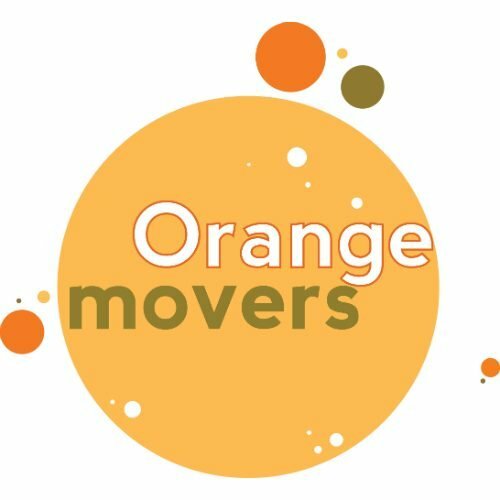 Orange Movers is a box to box moving company, packing your things in one location and then unpacking them for you in the next. Don’t be left inside a sea of packing materials, when you’re making that move to Coral Springs, you want caring experts to handle the hard work. You’ve worked hard to make this move, now let us take you through this last step. Have you discovered that you have more stuff than space? Our secure warehouse provides the perfect solution. Home and business owners both benefit with personal vaults held inside of our facility. We carefully pack and label your possessions, marking the condition before storing them away out of your sight. This can be for just a few weeks while you wait out a lease, or years while you save to buy a bigger house. Stop tripping over your extra stuff. Let us keep it safe and sound for you. Prepare to be amazed at just how full our moving services are, and at a price that you can afford. We offer a number of pricing options and plans that won’t break your new house bank, and won’t leave you doing all of the work. Call Orange Movers now and see for yourself what a comfortable move really looks like.